Shippers who understand the importance of customer satisfaction will scrub entire operations not only to reduce costs but also to seek new ways to deliver greater operational efficiency. 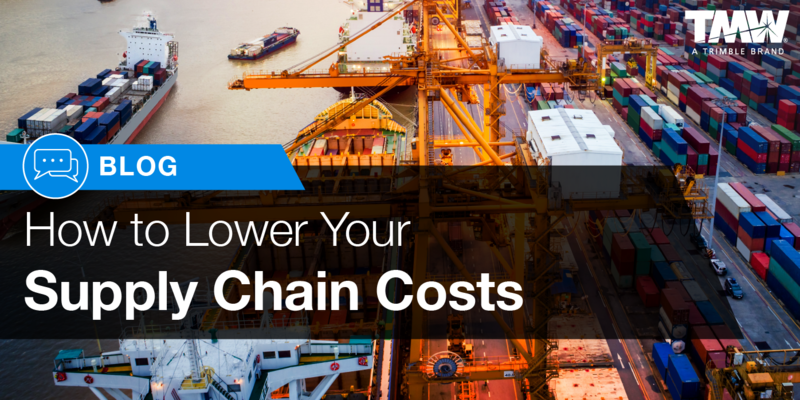 Those shippers know by implementing factors like forecasting, real-time tracking and collaboration they can deliver benefits to their bottom lines that are nearly as good as reduced rates. Is one approach more successful than the other in reducing shippers’ overall cost — without negatively affecting customer satisfaction? Given today’s constrained freight capacity, the best bet for shippers is to seek internal efficiencies. Regardless of the specific factor chosen, though, the common thread throughout them is adoption of logistics technology. According to Avery Vise, Vice President, Trucking Research at FTR Transportation Intelligence, electronic data recorders (ELD) are currently reducing capacity and edging rates higher. They are also helping many carriers become more comfortable with electronics which are permeating daily work life and the industry. As a result, every truck in interstate commerce is now trackable because of the new ELD rule. That gives carriers timely data to share throughout the chain, rather than updating delivery status via phone or fax. Larger shippers and larger carriers have used this capability for many years, Vise noted. Greater amounts of real-time information allow shippers to work around carrier service failures. Real-time tracking could identify simple bottlenecks like congestion caused by roadway construction. While service failures can take various forms, from small to large, forecasting needs to evaluate tactical and strategic threats to on-time delivery. Shippers should use data from their own networks, Vise said, as well as from analyst firms like FTR. Using a host of proprietary and industry data to forecast transportation trends helps shippers see changes to strategic issues, Vise pointed out, like the perennial truck driver shortage. The tight market for drivers affects the capacity carriers can provide. Vise noted that carriers can always buy more trucks; the capital equipment market isn’t a limitation. But he also stressed the driver market is a clear constraint. To that point, Vise said shippers can help improve the truck driver situation and cited a few examples. They can offer better facilities at loading docks for drivers to relax during loading. 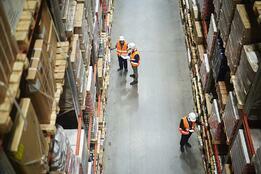 They can match a facility’s schedule with driver hours-of-service requirements. Repairs and upgrades to highway infrastructure are other long-term constraints that likely won’t be addressed for years. Likewise, a long-term solution, driverless truck remains a hope for the future. In an article for Talking Logistics with Adrian Gonzalez, Martin Verwijmeren of MP Objects noted collaboration occurs when shippers need to redirect supply chain resources to satisfy customers. He is Co-Founder and Chief Executive Officer of the global provider of smart cloud software for supply chain management. If a furniture provider expanded its offerings online, Verwijmeren indicated, a customer would expect those new furnishings to arrive at the same time and in the same way as the company’s other products. Collaboration within the company to source the new items would make the purchase seamless for the customer even though, he said, adding, internal fulfillment is fragmented across multiple warehouses and suppliers. Collaborating between your supply chain network to bring the order together before delivery to the end customer,” Verwijmeren explained, requires flexibility and real-time collaboration with all partners. According to Vise, a frequently used collaboration approach is dedicated contract carriage for two or more shippers. While shippers might pay a little extra to tie up the carriers’ equipment, it’s a win-win for shipper and carrier. Shippers receive dedicated capacity in exchange for a slightly higher rate and carriers receive a slightly higher overall rate. Ready to reduce costs using the right technology? Contact us today.